Of Witches and Warlocks: TICKETS: LOVE N VEGAS SIGNING AT PLANET HOLLYWOOD! TICKETS: LOVE N VEGAS SIGNING AT PLANET HOLLYWOOD! 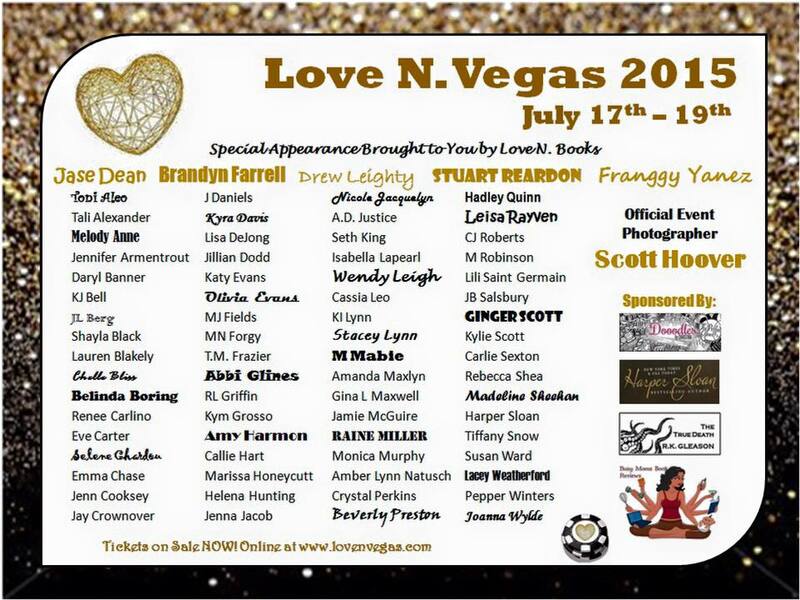 If you have a chance to come to Love N. Vegas​ this year at Planet Hollywood, I sure hope you will! This is always my FAVORITE SIGNING, hands down! (And I've been to A LOT!) Everyone has SO MUCH FUN! ALSO, two of my cover models will be attending the event, Jase Dean​, (Mr. Hollywood, A Celebrity Novel) and Drew Leighty​ (Crypt, Of Witches and Demons series, book 3)! These guys are AWESOME! So sweet, friendly, and funny! Don't miss out on the chance to meet them! It'll be worth it, I promise! Plus, who doesn't want to party with the fabulous Ellie May McLove​ and all the Love N Books gals? Not to mention ALL the AMAZING authors in attendance!